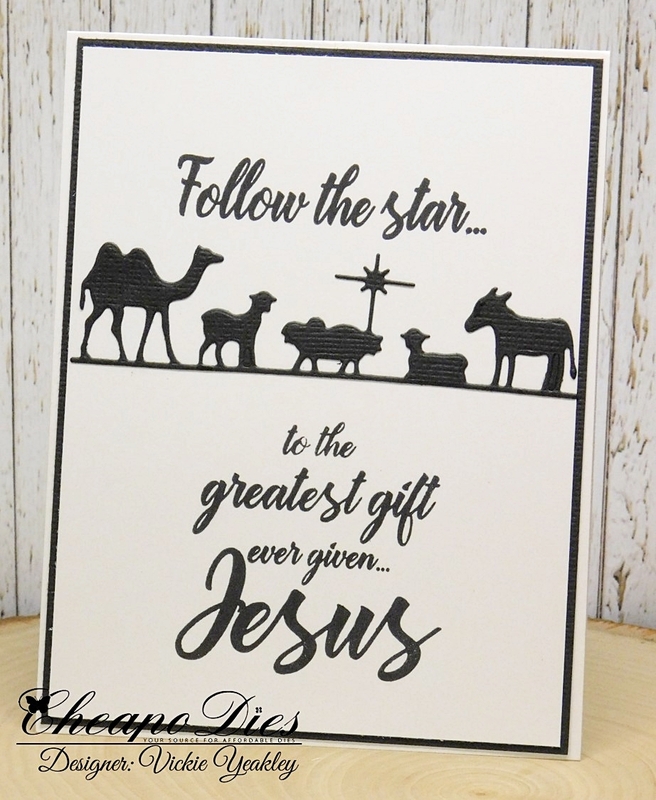 Vickie Y sharing an elegant black/white card with you today using the Exclusive Cheapo Nativity Line die. 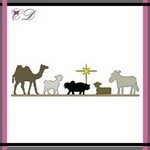 This die is perfect for creating a beautiful silhouette die cut to add to your card. Cheapo Dies has many beautiful dies to provide you with a headstart as you begin creating your Christmas and Holiday cards. This is a gorgeous die and I love the card using it.